Check out this Autumn Inspired Self Adhesive Vinyl on sale for $6.99 (Retail $13.50). Each vinyl pack includes (4) 12″ x 12″ sheets of self-adhesive crafting vinyl that you can use in whatever way you want. 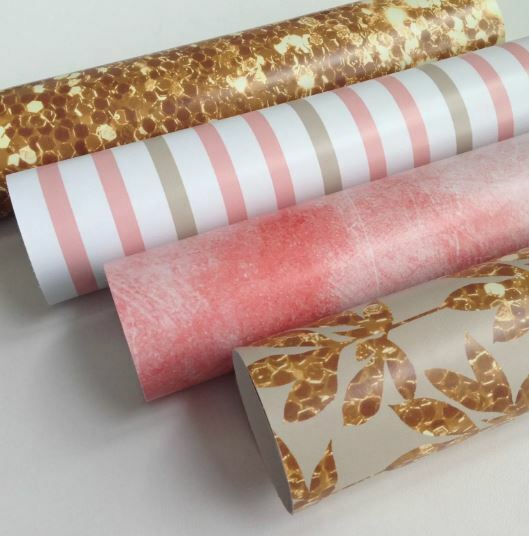 Perfect for everyday crafting, these matte vinyl sheets perform just like any other vinyl. It is sized specifically to be able to use with a Silhouette or Cricut machine! Ingenious! Don't have a machine? No problem! These craft sheets or vinyl sheets can easily be cut with scissors, paper punches, etc. Great addition to labels, banners, gift tags, monograms or any other small project that needs a burst of color and attitude. All Metallic glitter and gold elements are just a print. No actual foil or glitter is used on these prints.